A new year a new adventure. I’m learning how to knit on a loom. I’ve seen it before but never tried it. So, I’m knitting a hat to go with the scarf I’m knitting. 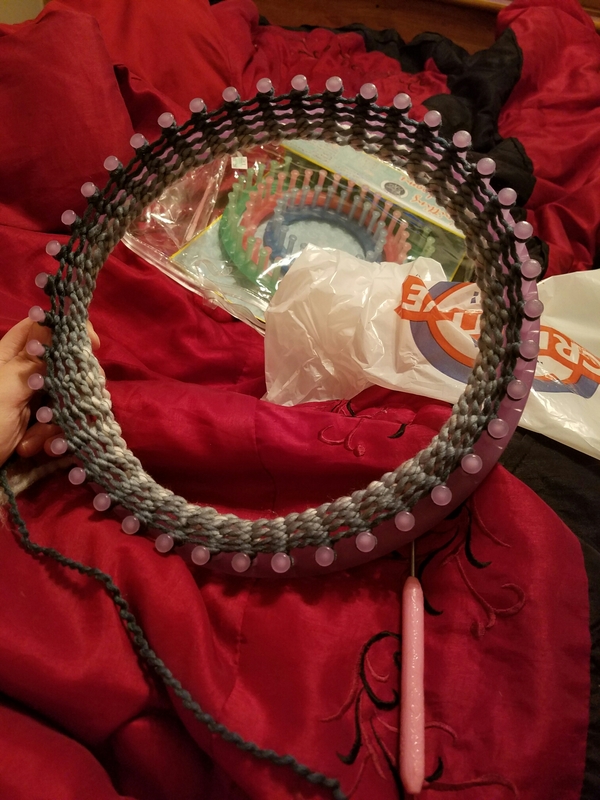 I decided to learn because I hate knitting in the round. Had I known that it was going to be this easy I would have learned years ago. 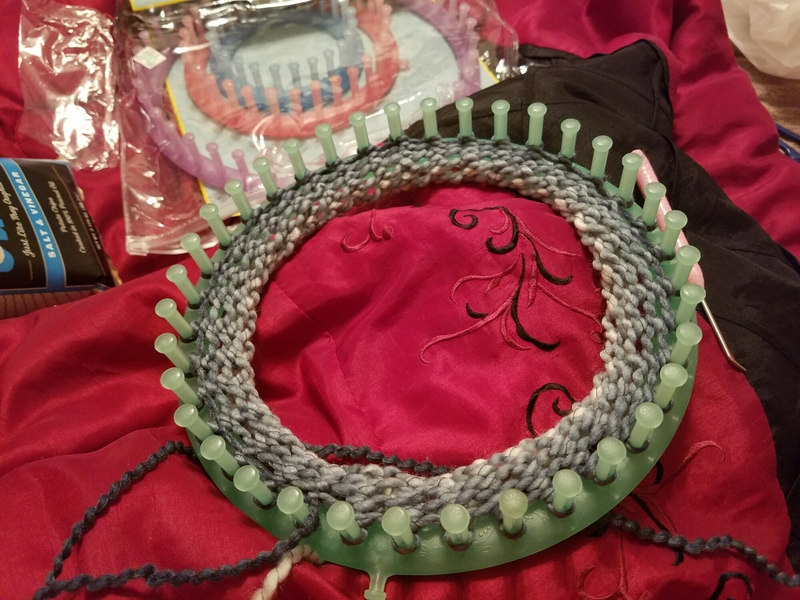 I started my hat on a 29cm circular loom. Turns out that is a little big for my tiny head. So I frogged the yarn and started over on a 24cm loom. This one looks way better. 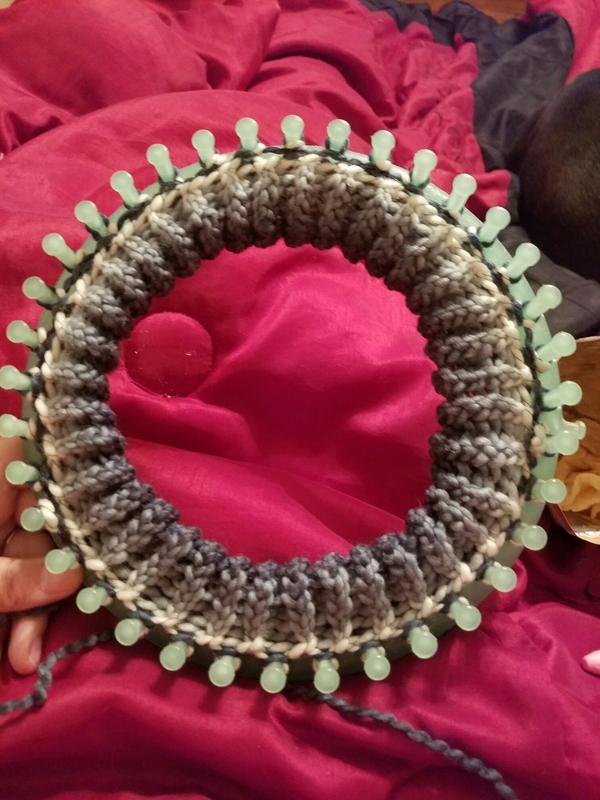 Less than an hour later I have the brim done and I’m working on the hat part of the hat.